Idle Hands: Six Flags Great Adventure Erects Life Size Hall Of Justice!! ...and There's a Ride In There Too! 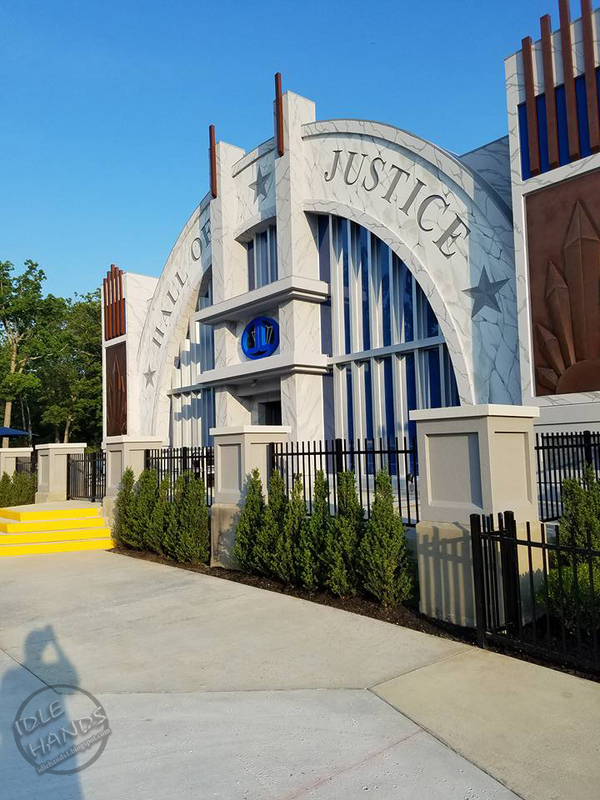 Six Flags Great Adventure Erects Life Size Hall Of Justice!! ...and There's a Ride In There Too! So i'm sitting in my living room eating Honey Bunches of Oats with no milk because I am me and in my feed pops up the picture to the left. My brain could hardly handle it. It's that building that LOOKS like the Hall of Justice...right? Nope. 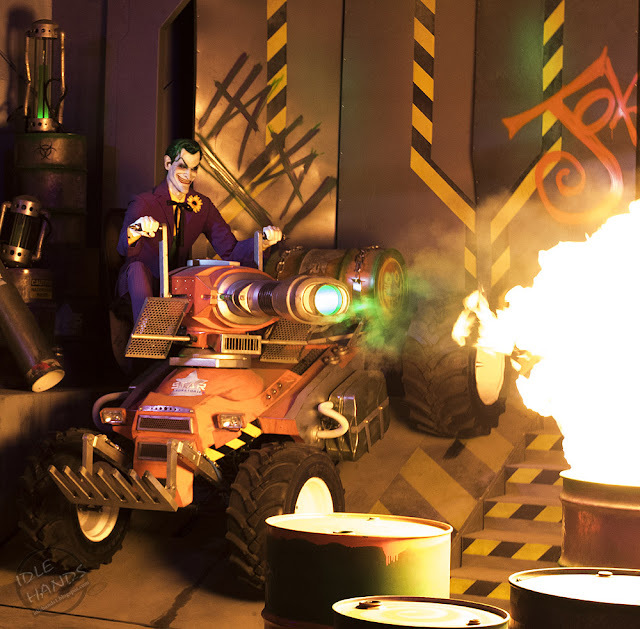 ...It's a diorama for toys? Nuh uh. It seems my friend Michael Sprouse has a family member who works at 6 Flags in Jackson, New Jersey and he's there...standing in front of this incredible building...probably just soaking it all in like I am. 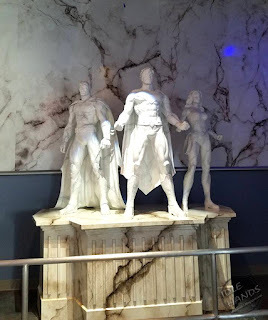 Turns out the building houses Six Flags' new attraction "Battle For Metropolis"! 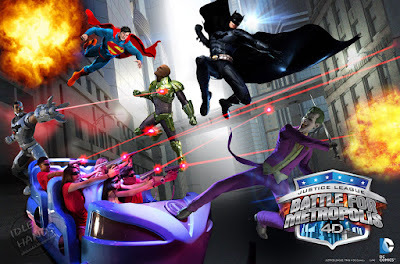 The "a 4D, interactive, competitive gaming adventure featuring WONDER WOMAN, BATMAN, SUPERMAN and more." The full name of the attraction is JUSTICE LEAGUE: Battle for Metropolis, and it opens this Saturday! This all sounds well and good, but the most important question is WHEN CAN WE GET COSPLAYERS IN FRONT OF THIS MASTERPIECE??!! 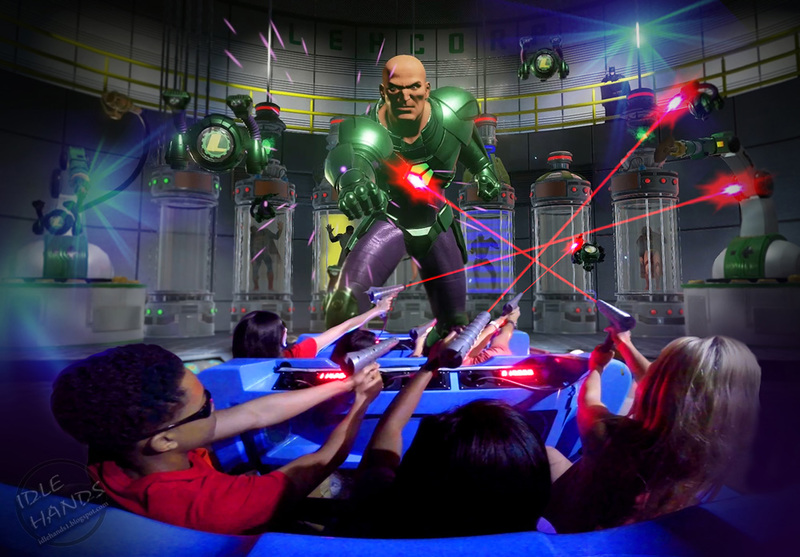 “Thrill seekers, families, comic fans and gamers alike will compete on the most innovative and interactive attraction the park has ever built,” said Six Flags Great Adventure President Neal Thurman. Including a Joker who blows fireballs at your FACE!! 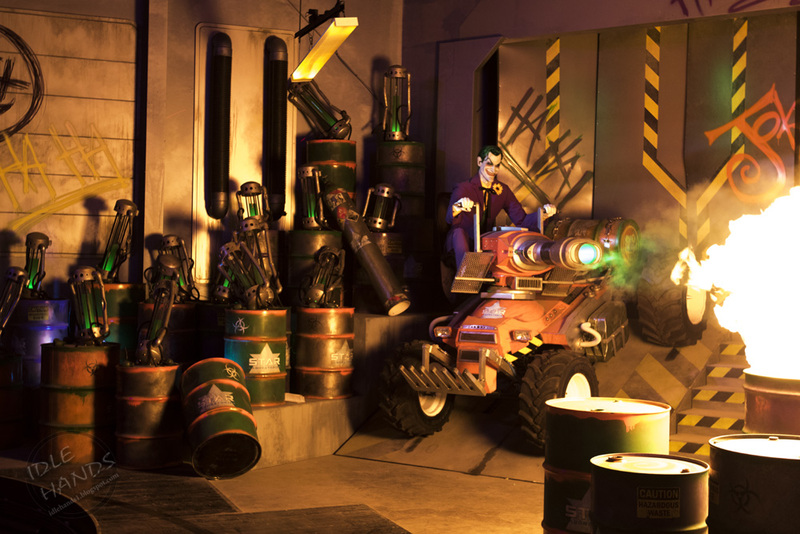 This joker from the ride's "key art" shows Joker brandishing a sword cane that seemingly spits fire because why not. 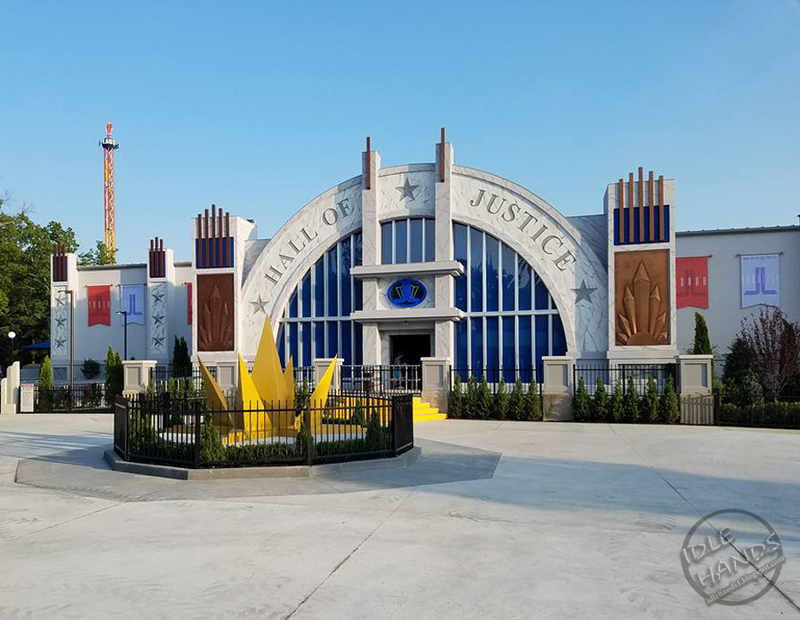 22,000 square foot Hall of Justice to house this elaborate action ride. 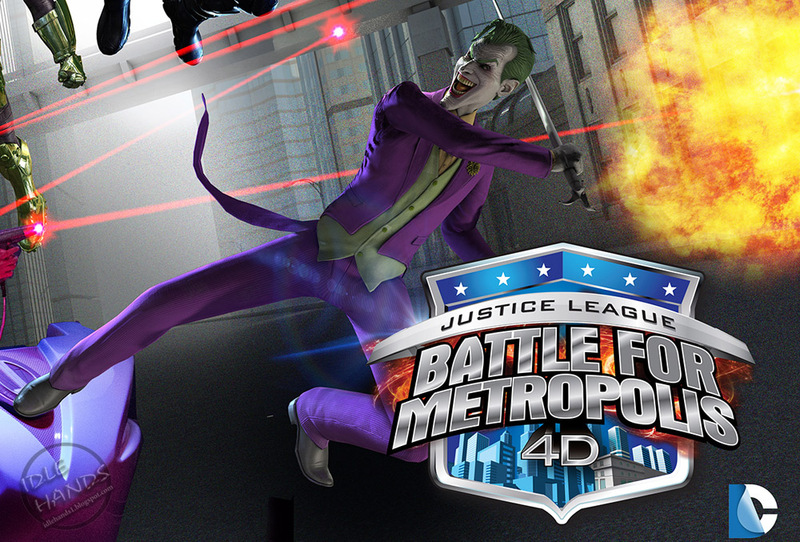 An exclusive line of Justice League merchandise will be available at the JUSTICE LEAGUE: Battle for Metropolis retail store.